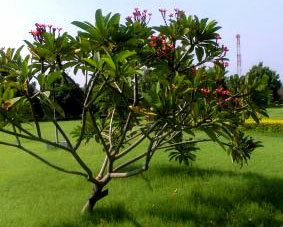 A distinctive tree known for its iconic flowers. 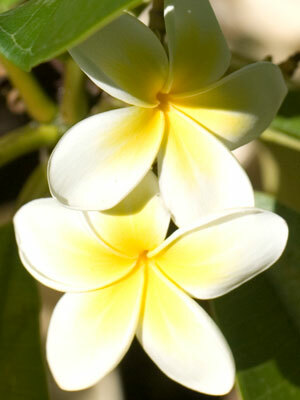 Features: Fragrant, iconic flowers. Unusual growth habit. Applications: Specimen tree for garden beds, containers, warm coastal sites. Non-invasive roots. 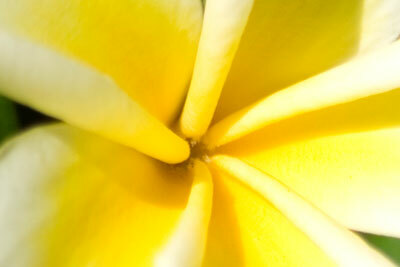 Description The sweet smell and the simple beauty of the Frangipani flower has accorded this plant its own place in gardens and landscapes. Growing slowly into a spreading shrub or small tree, its fleshy, digital branches are themselves quite unique, lined starkly with green deciduous leaves which cast insignificant shade.. The fragrant flowers vary in colour from warm pinks through to yellow-centred white blooms that can last from November through to May. Originally from tropical central America, the Frangipani needs the warm climate of the tropical and subtropical regions of WA to thrive - many can be seen around metropolitan Perth and further north. 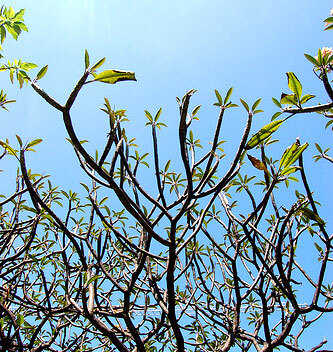 With well-drained soil and a warm (frost-free) climate, the Frangipani is tolerant of most other conditions - salt and drought tolerant, handles acidic and alkaline soils and tolerates harsh sites and urban conditions. Choose an appropriate site - its limbs can break under contact and its non-invasive root system may mean younger, less established plants are less stable. Prune limbs to encourage multiple sprouts and a denser shape, or prune to trunk for a more upright open habit. Canopy: Open, spreading and domed with age. Limited shade. Cautions: Sap is poisonous and an irritant. Limbs can break under contact. Tolerances: Salt and coastal conditions. Drought tolerant. Hot and harsh sites.